Do you know how much money you’re losing from late or lost Proofs of Delivery (PODs)? Tired of waiting for PODs to be sent in from truck stops? What if you could get the POD into your system as soon as a delivery is made? 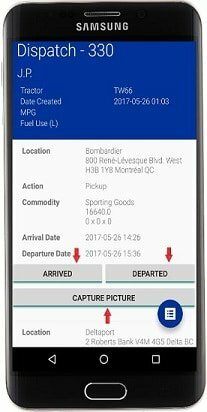 Introducing Tailwind POD Complete – the free POD capture mobile app for all your drivers. What is Tailwind POD Complete? Tailwind POD Complete is a FREE phone app available on iPhone and Android devices. 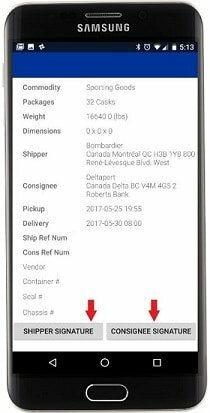 It lets drivers capture signed BOLs and electronic signatures upon delivery so they can send in PODs immediately for invoicing. Why use Tailwind with POD Complete? The Tailwind POD Complete app is FREE for all drivers and trucks associated with your Tailwind Pro or Enterprise Trucking Software subscription. How much is handling your PODs manually costing you? See how you much cost you can eliminate with Tailwind POD Complete. As you can see above, when taking the cost of couriers, interest accumulating due to customer invoicing delays, bookkeeping labor, and mailing invoices, 50 PODs a month can cost you over $20,000 a year! Eliminate that cost with Tailwind POD Complete. Drivers can transmit POD before they even leave the loading dock! 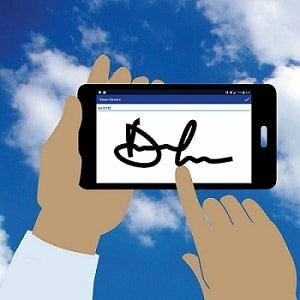 You can even capture Receiver and Shipper signatures right from the Driver’s phone! Check out our Tailwind POD Complete FAQs and Support Article. Chris W, Gateway Distribution Inc.